Richard was born August 22, 1951 in Cincinnati to Anthony and Henrietta “Penny” (Mallory) DePuccio. He attended Roger Bacon High School and graduated in 1969. During the 1970s, Richard joined the Hamilton County Sheriff’s Office as a Corrections Officer. During the early 1980s, he joined the Cheviot Police Department. 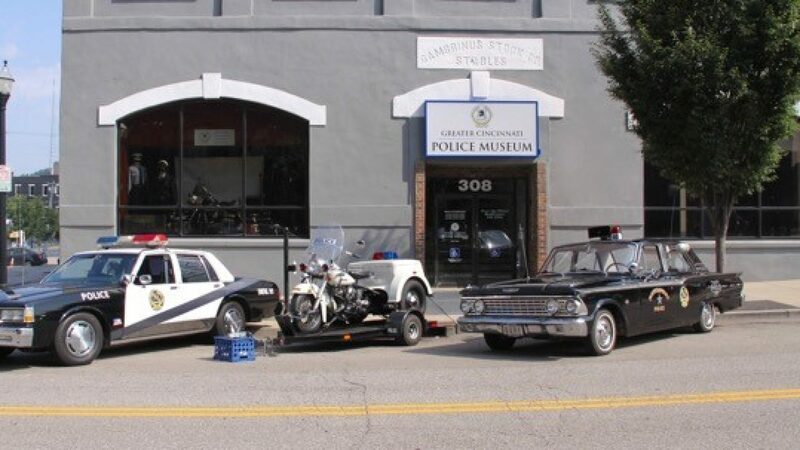 He transferred to the Union Township (Clermont County) Police Department in 1982. He was promoted to Lieutenant during 2006. He retired during 2009. He then went to work as a Bailiff for Clermont County Domestic Relations Magistrate Kathy Rodenberg for 9 years. He was also a member of the Union Township Zoning Board, capping off nearly four decades of service to his community. Lieutenant DePuccio, after a courageous battled with cancer, passed away at the Christ Hospital in Cincinnati on October 7, 2018 at the age 67. He was predeceased by his brother, Nicholas DePuccio. Lieutenant DiPuccio is survived by his wife of 35 years, Barb (Mathis) DePuccio; children, Julie (Curt Appel) DePuccio, Clermont Deputy Sheriff Richard DePuccio II, and Angela DePuccio; grandchildren, Reilly Slusher, Parker Cox, Ryan DePuccio, Tyler DePuccio, Kylie DePuccio, and Eli Popham; brother, Joseph (Debbie) DePuccio; and sister, Patty (Mark) Bardonaro. Visitation will be held 5 to 8 p.m. on Wednesday, October 10, 2018 at E.C. Nurre Funeral Home at 177 W. Main Street (SR 125) in Amelia. A funeral service will be held at 11 a.m. on Thursday, October 11, 2018. Interment will follow at Mt. Moriah Cemeteryin Withamsville. Memorials may be made to the American Cancer Society, PO Box 22718, Oklahoma City, OK 73123.